Between family activities, work, maintaining a house and blog I always have a big to do list. With so much going on and so many things to do I need a system for keeping track of things. We keep family members’ activities on a shared Calendar and I keep blogging notes in Evernote but I have yet to find a good system for tracking the to do lists that always seems to be growing. If you’ve read my other posts you know I’m a believer in the power of technology to bring efficiency into our lives. So, I’ve done the research to find the best to do list apps available. Here’s a summary of the great ones I’ve found, their main features and how they work. Maybe you can find a to do list app that will work for you as well! The table above shows a basic comparison of these six great to do list apps. But to really get a sense and feel for each one take a look at the screenshots and details below. Sometimes the user interface (UI) of a program is as important as its features. The more comfortable and user friendly the app’s layout the more likely it is that you’ll actually use it. 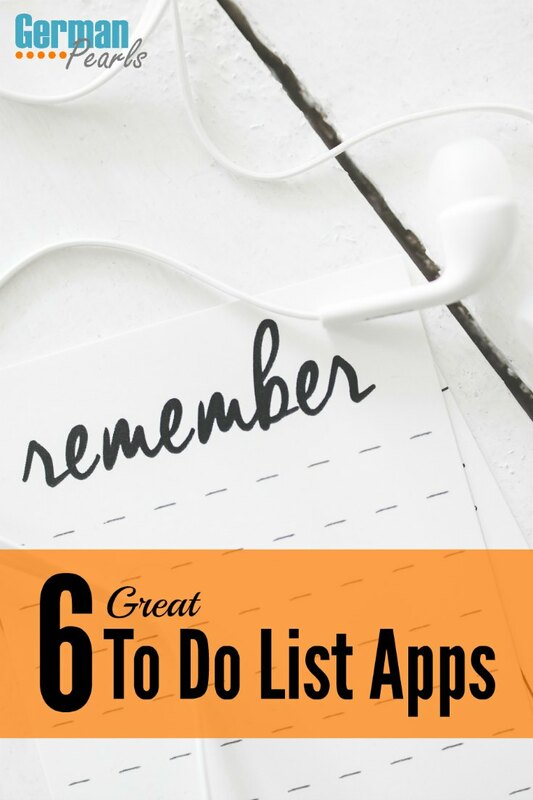 And, with a to do list app, the best one is the one that you actually use. So, let’s take look at each of these apps in a bit more detail. Note: You may also be interested in my 10 favorite iPhone apps. 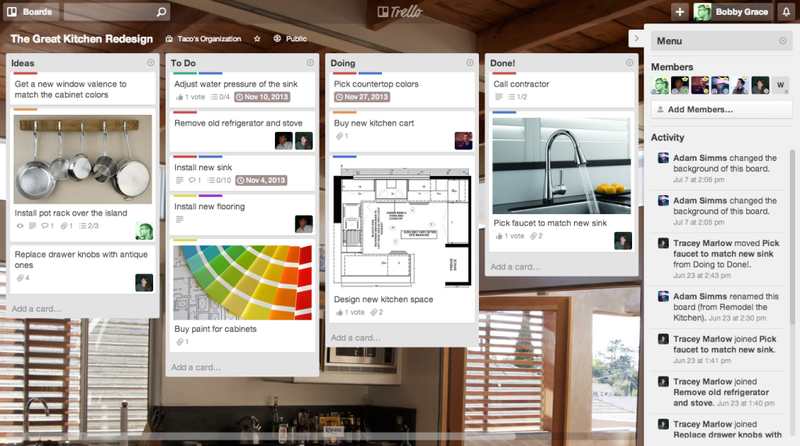 Manage your projects and tasks with cards in Trello. The very visual user interface helps you see your open projects and to do lists. Sort tasks by project, create boards for to do, in process and complete lists. Color coding and adding pictures make it even easier to see what you have to do. Add deadlines, tags and notes for team members. 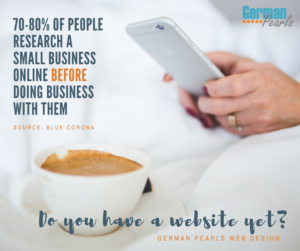 The majority of the service can be used for free. Upgrading to the business account allows for integrations with more platforms and larger file uploads. With so many features available in the free option, this is the tool I’ve been using to manage the writing I’ve been doing at Mode Media. Organize projects and small to do lists with Wunderlist. Set due dates and assign tasks. Forward emails to Wunderlist to create tasks, add hashtags for easy searching and add items right from the web. Most of the functionality is available in the free version. If you upgrade to premium you get to upload larger file sizes, create longer lists, assign more tasks and personalize your layout with more background options. Last year Microsoft purchased Wunderlist and we’ve already seen some integration with Windows. You can now use Cortana to add tasks to your to do lists! Todoist is another task management service you can use across several devices. Todoist’s clean design has a list of projects and task lists down the left side of the screen. Selecting one of the lists will open a detailed view on the right. 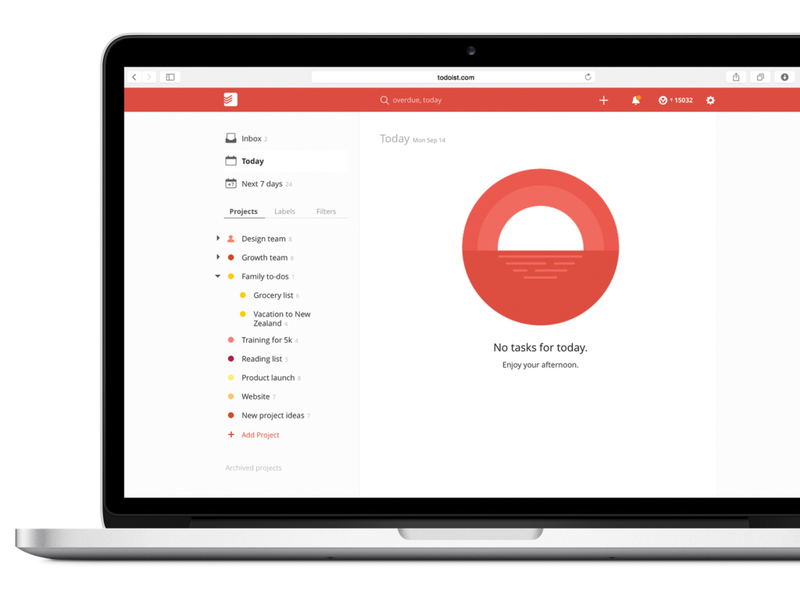 Todoist lets you keep track of projects, sub-projects, tasks and sub-tasks. Comment on tasks, collaborate with team members and manage deadlines with this service. Some features to note are: ability to setup recurring dates, prioritizing tasks with color coding, location based reminders and adding tags for easy filtering. Todoist also integrates with Zapier for further automation. Kalyn at the Creative Savings Blog uses Todoist to keep track of her recurring tasks. 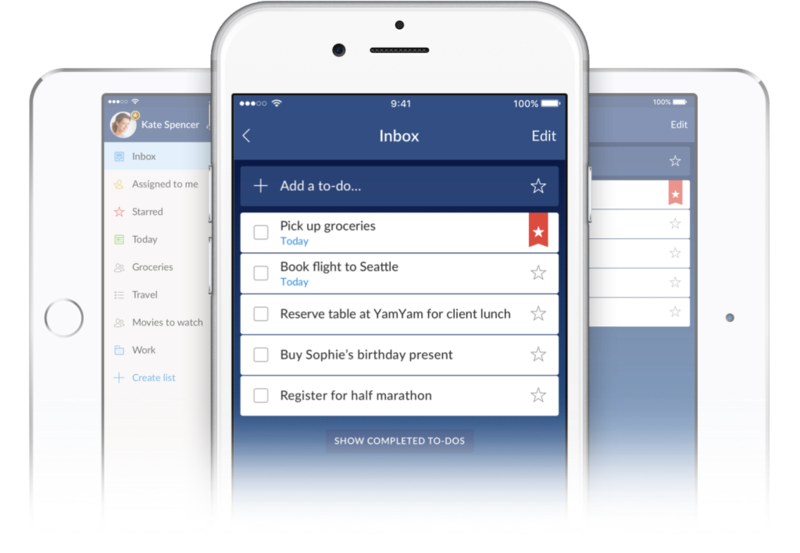 Any.do is a to do list app you can use to keep track of projects and tasks. Share to do lists with team members, upload files, write notes and schedule due dates all from within the web or recently updated app interface. The Any.do moment feature lets you scan through the tasks you have assigned today and mark them complete or reschedule them. The features integrate well with their Cal app and watch for their Mail and Note apps coming soon. 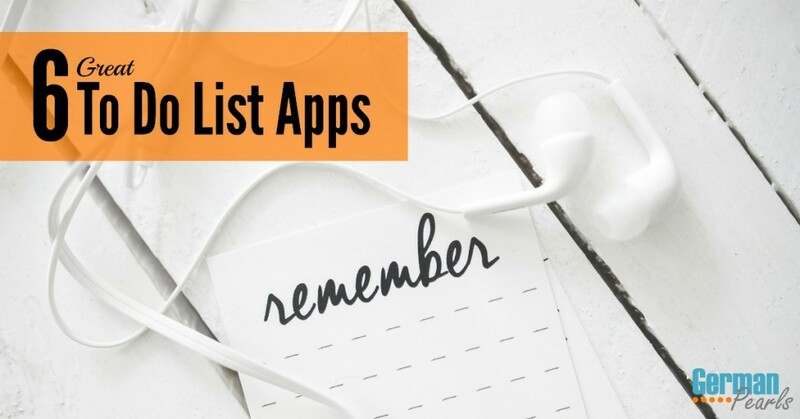 Unlocking the full functionality of Any.do with a premium version is cheaper than the other to do list apps we’ve listed here. Do you have sticky notes attached to notebooks, computer and papers in your house? I’ve found this genius invention to be so useful. So, if they’re handy reminders in “real life” why wouldn’t they also be useful in our “electronic life”? 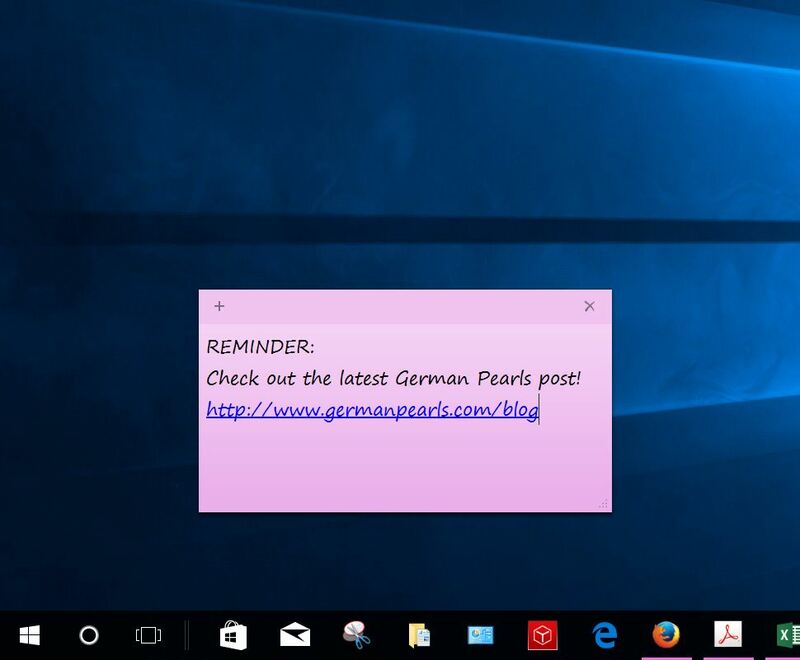 Did you know that Microsoft has a sticky notes app built into Windows? To access them simply go to your Windows start menu, find the search field (or Cortana) and type in Sticky Notes. When the search results show the Sticky Notes app simply click on it to open one. Attach different colored sticky notes to your desktop with notes and reminders to keep yourself on task. 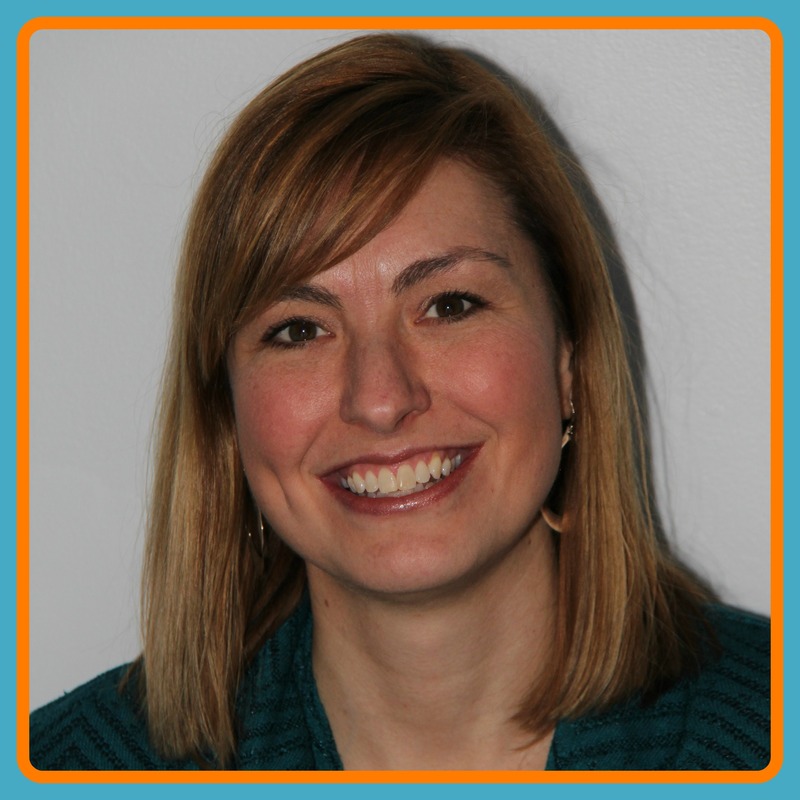 Suzi from Start a Mom Blog uses these colorful notes to keep her digital life organized. Note: If you can’t find your start menu you may want to check out this on how to add a start menu to Windows 8. Crystal over at The Weathered Fox loves the app Home Routines. This app (available for the iPhone only) was designed to help you manage repeating household tasks. 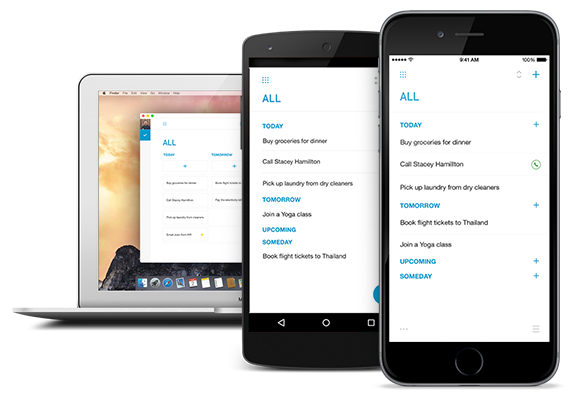 Set up the app based on your personal household schedule and have a daily to do list every day. My favorite part of this app? Get a gold star for each task you complete! (I would do anything for a star on my sticker chart as a little girl!) Other nice features are the daily reminder lists and a countdown timer for focusing your attention. Also, create focus zones, zones of your house which you schedule for certain days to do a special focused cleaning. There is a small purchase price for the Home Routines app but the service is then free and is located on your phone so if you have problems with internet connectivity they won’t interfere with getting your work done. Note: If you do have internet problems in areas of your house check out this post to see how to boost your wifi. So, which is the best to do list app? It all depends on your needs and style. Personally, I’ve found that the to do list app that I use for my home life is different than the one I like for keeping track of my blogging tasks. I also have a separate calendar for family events, sticky notes on my computer screen for simple reminders and, for some things, a plain old-fashioned notebook works the best. So the best to do list app depends on what works for you and what you’ll use! Maybe someday I’ll find the to do list app that I like using for everything but so far, that hasn’t happened and the combination of a few tools is working for me. How do you organize your life? What tools do you use? Leave a comment below and maybe you can help us all become better organized! Thanks for the comparison. I always like checking out side-by-side comparisons for finding best apps and products. Makes it so much easier to hear from those who have used them. I would like to add Asana to your list. I love Asana for to-do lists and project management. It’s free and you can share. It syncs with email and sends notifications. I use it professionally and for personal lists. Asana sounds like a good app. I’m surprised I didn’t come across it before. I’ll have to go check it out. Thanks for the tip! Do you know of an app for android that is comparable to Home Routines? FlyHelper looks pretty similar and looks like it has some neat functions.